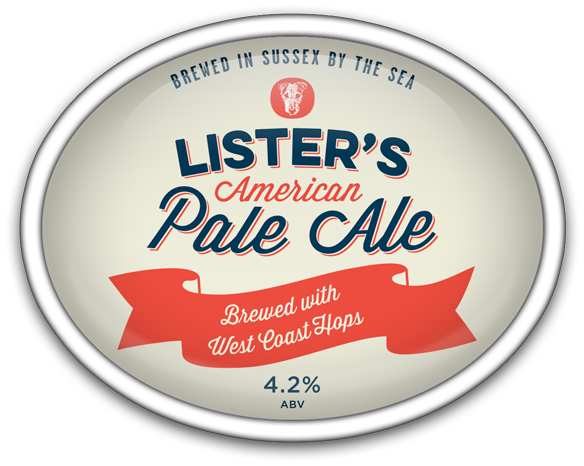 Lister’s beers are brewed by the sea in the beautiful West Sussex countryside using English Maris Otter barley and the finest whole leaf hops. As well as being very popular locally, we deliver directly to other parts of the country, including the North-West, Yorkshire, Bath and Somerset as well as the Thames estuary. Our beers are also available through selected wholesalers in other parts of the country. 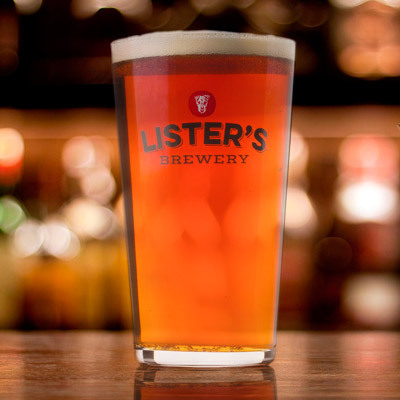 Lister’s beers are available in cask and bottle. is a traditional English ale in style and because it’s triple hopped has a depth of flavour that’s not often found in beers of this strength. It’s amber in colour with a toffee fruity nose. It’s full flavoured, balanced and moreish. is a premium bitter. It’s darker and traditional in style. It’s russet brown in colour, has roasted and toasted malted notes on the nose and is smooth, rich and satisfying. is light and refreshing. It’s ochre in colour, has rounded citrus notes and is lightly hopped making it an ideal session ale. is a traditional Porter, dark in colour, with hints of coffee and molasses. It’s surprisingly light and makes for easy drinking. One of Lister’s favourite haunts was the East End of London; home to the River Porters, after whom the drink was named. Although this style of beer is normally associated with the East Coast of the United States, hop production there declined during prohibition so ours is made predominantly with the finest West Coast hops. It’s light and hoppy with a citrus hit and very satisfying. Traditionally, India Pale Ales were heavily hopped to help survive the long hot journey to the sub-continent. Ours is a traditional style IPA but not over-hopped. Full-flavoured, yet light and refreshing with a restrained bitterness; amber in colour with citrus notes and made for easy drinking. A traditional northern dark mild reminiscent of the brewer’s Lake District origins. It’s a smooth, refined, easy-drinking beer which remains a firm favourite in many parts of the country. This is a deep ochre pale ale with a satisfying lasting finish. 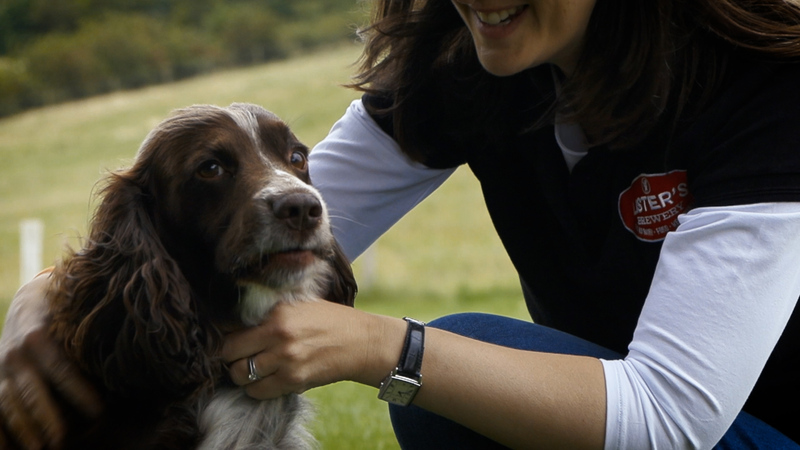 We give 5 pence from every pint of Tail Wagger to Lister’s Dog Foundation. Our only seasonal ale, this beer is deep, rich and malty and ideal to celebrate the festive season. Our popular porter but now available as a smooth satisfying creamflow beer. Now kegged and served colder to give a deep flavoured refreshing beer. 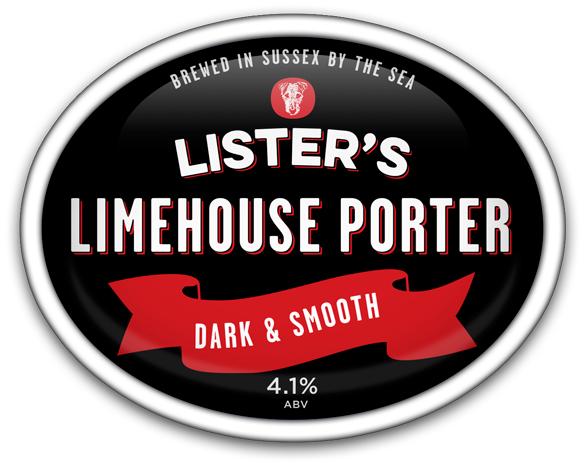 Lister’s Brewery has been producing fine ales in the beautiful West Sussex countryside since 2014. Our beers are designed to be easy drinking favourites that reflect the quality of the ingredients used. After starting on a tiny scale in 2012, the brewery was increased to a commercial size and moved to Ford in 2014. 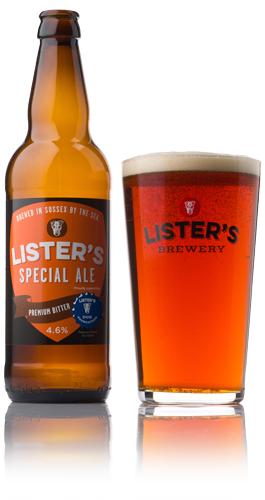 Since then we have developed a range of permanent beers, reflecting a variety of styles, available all year round together with our one seasonal special, Lister’s Christmas Ale. 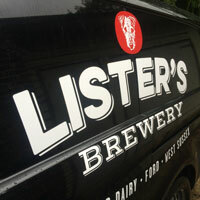 Lister’s Brewery started as a family affair; Alan looks after the finance and admin. Son, Philip, having been a trader in the city, is the brewer and daughter Katie, who has worked in food and drink and local government public relations, takes care of marketing, design and all the creative bits. We have since been joined by our second brewer, Charlotte, and delivery driver, Trevor. Both share our passion for the product and our commitment to first class service. You can keep up to date with all our news and where to find Lister’s over on Facebook and Twitter. Our phone numbers are: 01903 885950 (Main), 07768 860851 (Sales and Accounts), 07775 853412 (Brewing and Technical), 07899 923799 (PR and Marketing). Lister’s IPA sold out in just four hours; a record for any beer we’ve had. Our customers have said your beer tastes like beer used to taste. Your beers have been on the pumps alongside award-winning beers and have been outselling them. Since putting it on as our house bitter, it’s developed a life of its own. The Cricketers Arms, St Helens. Your Best Bitter, which as you know has just become the always-on house bitter at the Cricketers Arms in St. Helens, is THE BEST ever bitter that has been on the bar since Andy and Denise took over the pub 4+ years ago. A proper, proper bitter. Well done and thank you, it’s great!